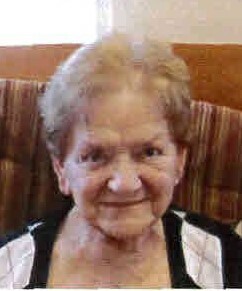 Obituary for Pauline L. (Bach) Lutz | Milkins Giles Funeral Home Inc.
Pauline L. Lutz, 93, formerly of Temple, passed away Monday, April 8th in Keystone Villa at Douglassville. Pauline was married to the late Harry D. Lutz who passed away January 12, 2005. Born in Laureldale, she was the daughter of the late Arthur Bach and Stella (Keiper) Bach. Pauline was a lay out operator for Lucent Technologies, now Nokia, for thirty two years retiring in 1986. Pauline was a member of the Telephone Pioneers of America. Pauline was a member of Grace Bible Fellowship Church in Reading. In her earlier years Pauline enjoyed flying with her late husband Harry and her late daughter Linda. She loved the beach, and would fly to Ocean City New Jersey with her family. Pauline was an avid candle maker. Pauline loved her family very much, they were a very important part of her life. Pauline is predeceased by a daughter, Linda A. Lutz who passed away December 9, 2006. Pauline is also predeceased by her siblings, Marian E. (Bach) Mann, Frances E. (Bach) Mann, Alfred, James, and Charles Bach, and Bettie (Bach) Mann. Pauline is survived by many nieces and nephews. In lieu of flowers, memorial contributions may be made to the Alzheimer’s Assoc., 237 Court St., Reading, PA 19601 or www.alz.org. The Milkins Giles Funeral Home, Inc., in Temple is entrusted with the funeral arrangements.